These diagrams are high-resolution PDF documents. You will be able to zoom in to view detail, and print legible copies on your printer. You will need Adobe Acrobat Reader to view the documents; click here to download and install a free copy. Each document below consists of a one-page diagram and a one-page key to the parts and wire colors used in the diagram. Use your browser's BACK button to return to this page. Owen, you might get more visibility by posting this on the Mini Mania Forum. Crazy. What year and model Mini? Clyde, All the information you need is in one of the diagrams listed above, as long as your car is included in the diagrams. Usually, the horn wires are purple and/or purple with a black stripe. anyone have wiering diagram for mini 76 with alternater to fit an ampmeter?? Odd article (about Mini wiring) to post a MINI wiring question! Hopefully, it will catch the eye of someone with new MINI. Does anyone know which of theese is closest to a Wolseley hornets wiring diagram ? Jest: with the exception of the wire to the light in the center of the grille, the wiring will be almost identical to the same year of the standard saloon. 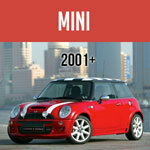 Which of these will apply to a 1994 Sprite with 1275 engine? Hi, are there any diagrams for a 1991 Mini Studio 2 out there? well similar problem, i have just bought a new wiring harness however, i find difficulty in connecting this auto parts. any help? Gord, The process isn't too difficult (especially if you've kept the old harness) and you should be able to find someone to help. Post your question on the Mini Mania web site's Forum and I bet you get some worthile responses from the many Canadians on the site. Hi. 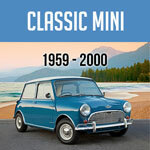 I am trying to wire a 1963 austin mini MK 1, but not having much luck at all. I bought a brand new wiring harness directly from England (Factory) but I can't wire the outhouse door closed behind me so you can see my delema. If there is anyone out there that is good at wiring positive Ground and is in my area (Ottawa Ont.) please contact me @gcl@rogers.com and We can make arrangements from there Thank-you . Gord. Roberto, No late model car wiring diagrams. Sorry. They are multiple pages and can be found in factory workshop manuals or the Haynes series of manuals. See our part number 646.